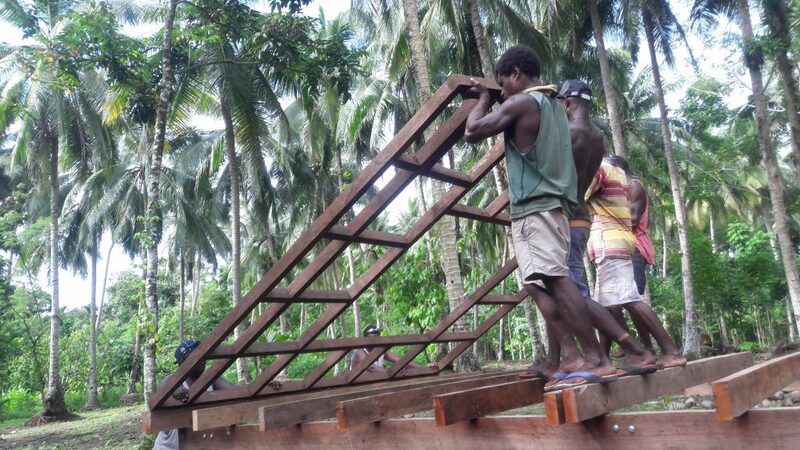 The Fuller Center in Papua New Guinea will focus on helping families in rural areas of New Ireland Province. 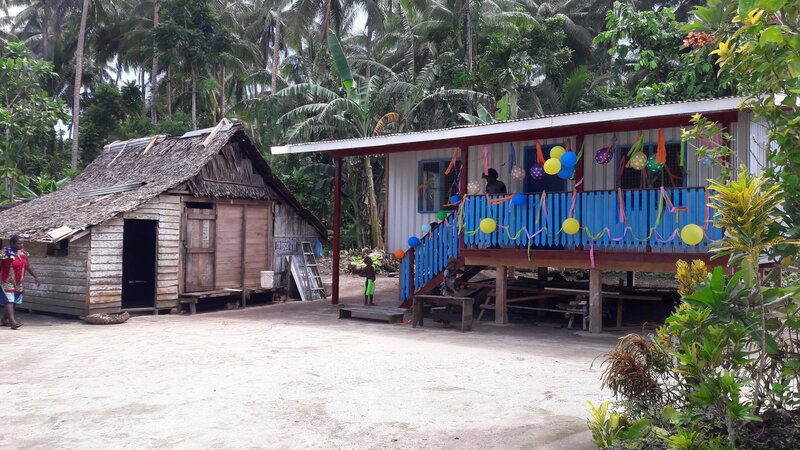 Rural families in Papua New Guinea tend to live with their extended families. On average the size of an extended family is 5-7 adults and their children. Many of these families currently live in homes built out of untreated round logs and sago thatch. In grass land areas grass is used as roofing. These homes would typically only last 3-5 years. 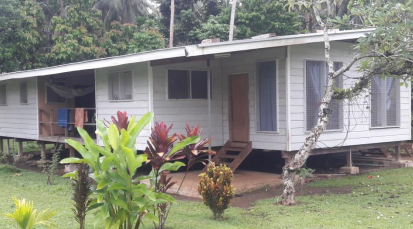 The Fuller Center in Papua New Guinea is looking to help these families by working with them to provide simple, decent, and affordable homes. The work is led by a Board of Directors of dedicated Papua New Guineans who donate their time and energy into making the program possible. However, we need volunteer teams to help provide funding for these homes and assist with the building, which is where you come in! Papua New Guinea is located in the Pacific ocean just north of Australia. The country consists of the eastern half of the island of New Guinea, along with many smaller islands. Papua New Guinea is known as one of the most culturally diverse countries in the world. Even though they only have a population of 7 million, there are over 800 different languages spoken. Papua New Guinea is also one of the most rural countries in the world as less than a 1/4 of its population live in urban areas, and it is believed that there are still uncontacted people groups. Global Builders teams will be working in and around the town of Kavieng, which is the capital of the province of New Ireland and located on the island of the same name. The city is made up of 19,000 people and is a popular dive, trekking, and surf location due to its biological diversity and close proximity to other islands. Climate: Tropical climate with temperatures in the 70s-80s. We will be building mostly new homes throughout the New Ireland Province area. The homes will typically be 400 sq ft and are built on stilts and are primarily made out of wood. Work will typically involve helping the masons and carpenters. This work involves sawing, hammering, lifting, mixing cement, etc. We will provide necessary tools, but as with most build sites, it never hurts to bring a few small hand tools with you. Teams will be staying at Loukong Place in Omo Village. Loukong Place is a guesthouse that is made up of 8 rooms with a total of 24 beds. There is a common outdoor space that can be used for relaxing and eating meals. The guesthouse has running water and electricity. All three meals are included in the trip cost. Food served to the group will come from arrangements made by the country host. Breakfast and supper will be served at the guesthouse while lunch will be provided at the work-site. Papua New Guinea is a nation of incredible natural and cultural beauty. 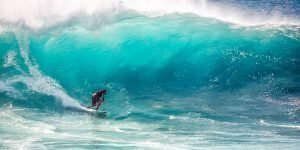 Tens of thousands of visitors come every year from all over the world to experience the world-class surfing, awe-inspiring snorkeling and SCUBA diving, and relaxing beach resorts. 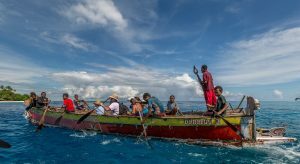 Our local partners in Kavieng are just a short 10 minute boat ride from Nusa Island Retreat where volunteers can enjoy swimming, fishing, snorkeling, and a local market. Nusa Island is one of many such resorts in Papua New Guinea so take some time to look around and see how you may want to spend the few days before or after your build. You can also find more options in our PNG country guidebook. Most 10-14 day trips will cost around $2,000. More precise budgets are custom and are developed for each trip. 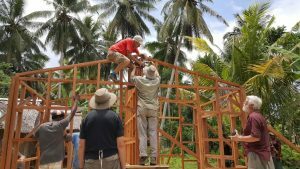 The trip fee includes food, lodging, all in-country transportation, emergency medical and evacuation insurance, and a donation to the project. Note that US citizens must obtain a visa for travel to Papua New Guinea. Visit travisa.com for information on required documents and talk with the Global Builders Coordinator or your Team Leader if you have questions. Many visitors get their visas upon arrival so that may be an easier option for some.